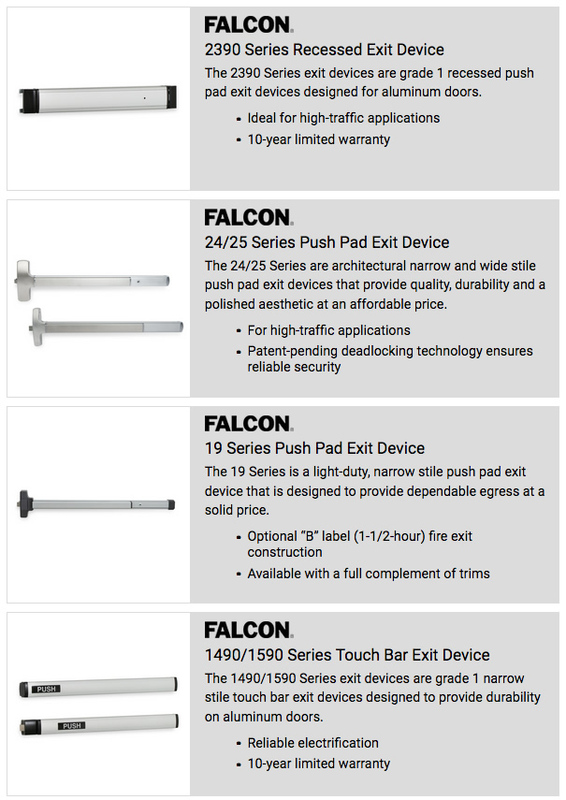 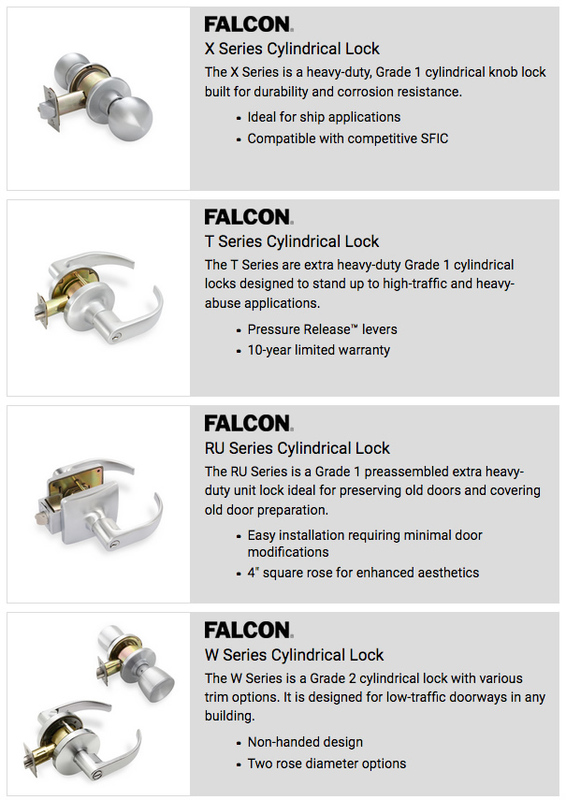 W. R. Ringheim stocks Falcon products including exit devices, closers, and auto equalizers including 24 and 25 Series exit devices in US26D, US28, and 313AN. 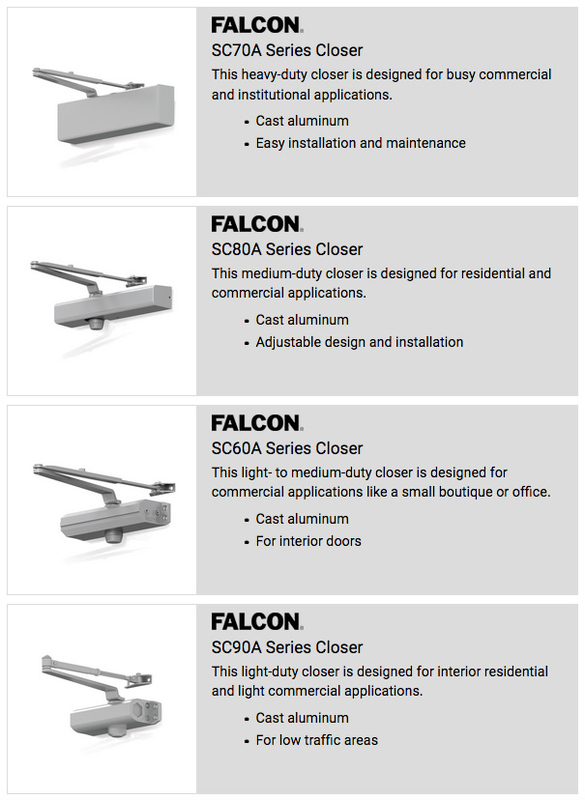 We stock SC61, SC71, and SC81 door closers in both Aluminum and Dark Bronze with a variety of drop plate and arm options. 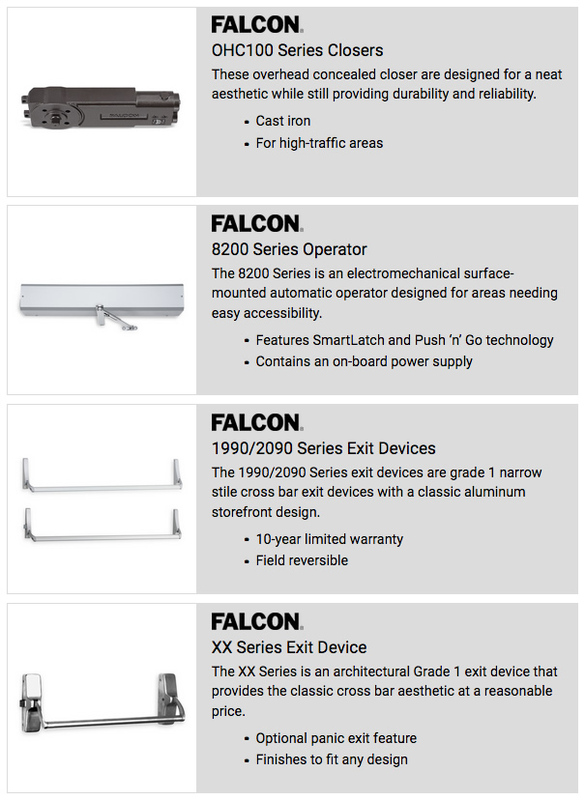 We also stock the Falcon 8231/8242 Auto Equalizer.